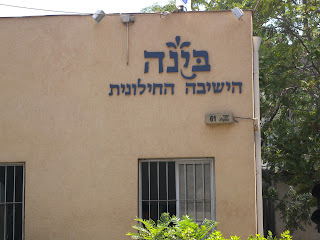 Jewish date: 9 Tishri 5771. Today’s holidays: ‘Erev Yom Kippur/Eve of the Day of Atonement (Judaism), Paryushana (Hinduism), Feast Day of Robert Bellarmine (Roman Catholicism), Feast Day of St. William Shatner (Church of the SubGenius). 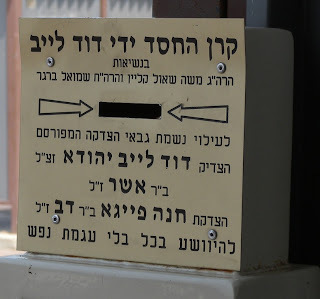 NOTE: Starting tonight is Yom Kippur, the Jewish Day of Atonement. 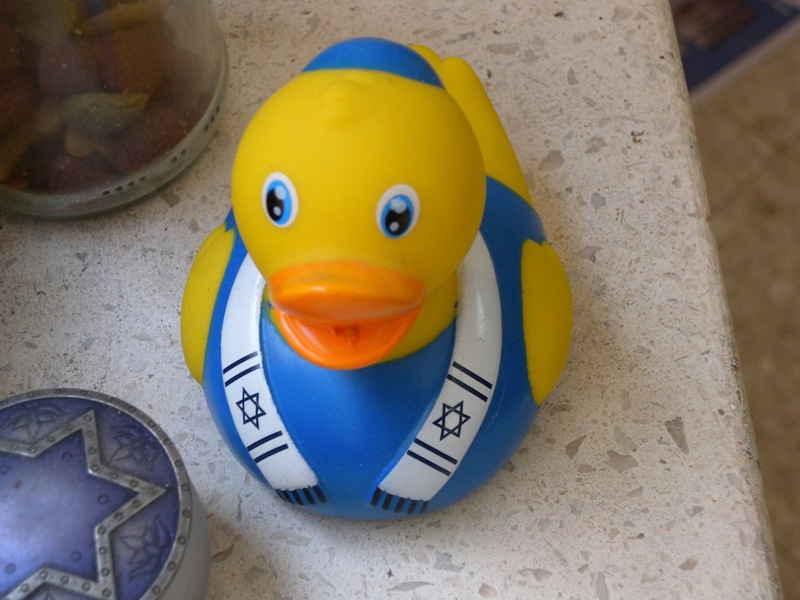 For information on this holiday, see the relevant part of the Orthodox Union’s site. This one reads “Before hoariness you will stand”, a quote from Leviticus 19:32. Evidently it is intended to mean here than one should give up one’s seat to any senior citizen who needs it. I apologize for the poor lighting conditions. 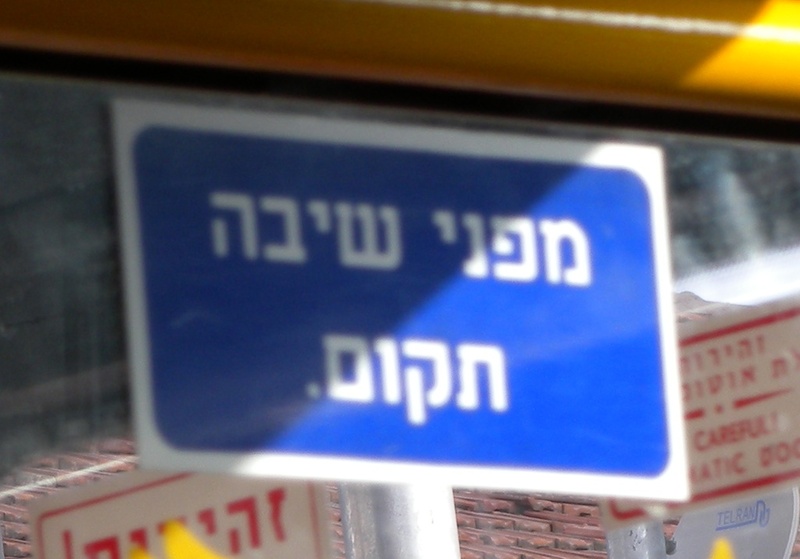 This one reads “And you will love your driver like yourself”. This is a play on Leviticus 19:18. 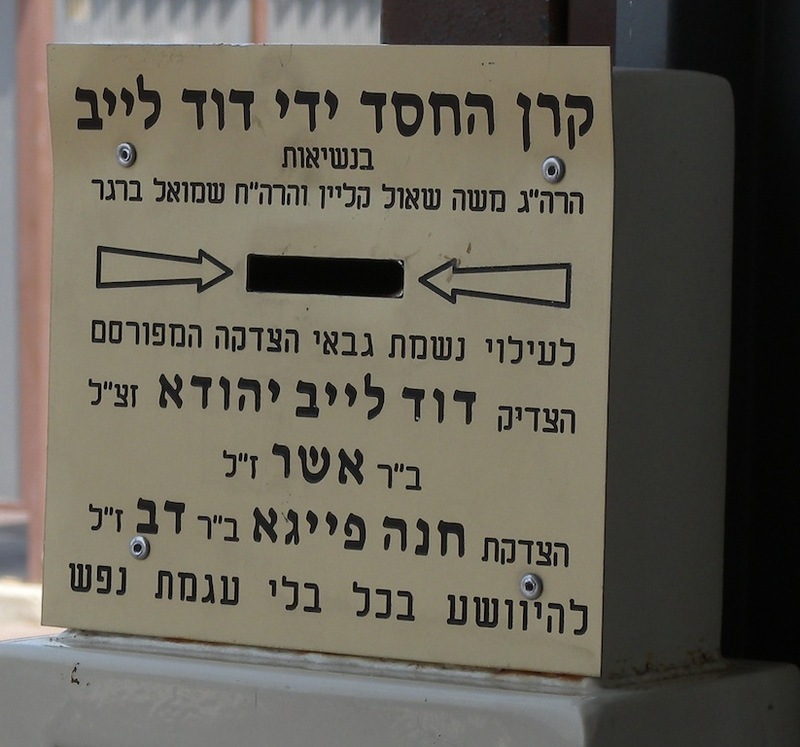 Only in Israel: a ṣedhaqah [more or less equals charity] box out in public, such as this one I found at a bus station in Ramath Gan. 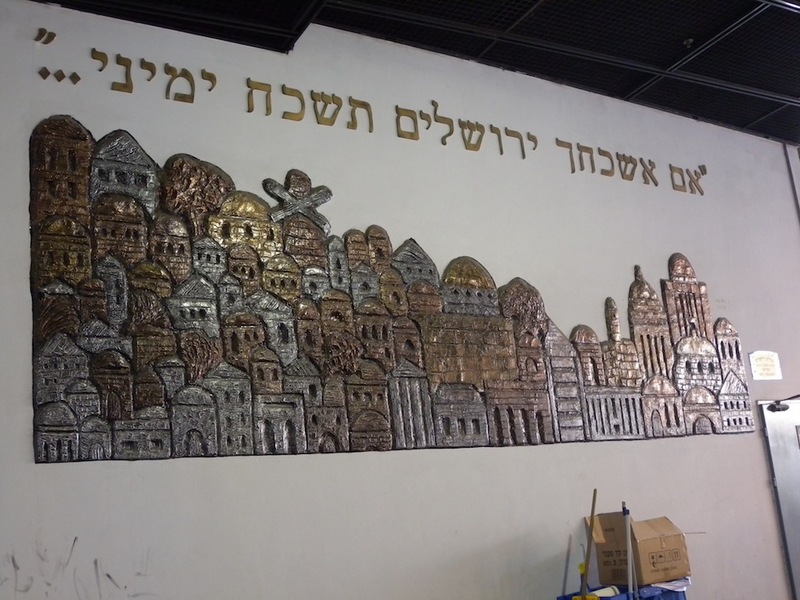 This display at the Yerushalayim Central Bust Station quotes Psalms 137:5, wishing bad things on oneself if one forgets Yerushalayim (Jerusalem). 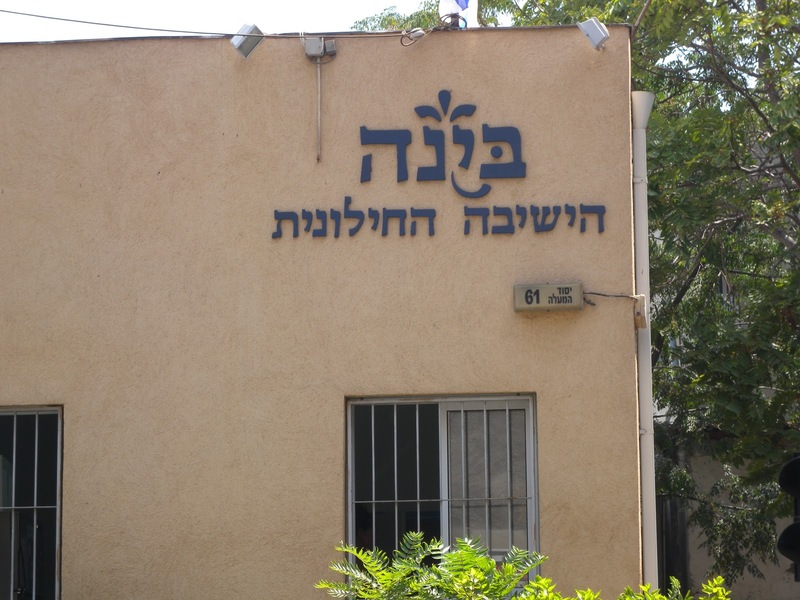 This building in Tel ’Aviv bills itself as “Binah [= Understanding], the secular yeshivah [= institution of Jewish learning]”. I have no idea whatsoever what this institution is collectively thinking, but there is an obvious logical difficulty here. 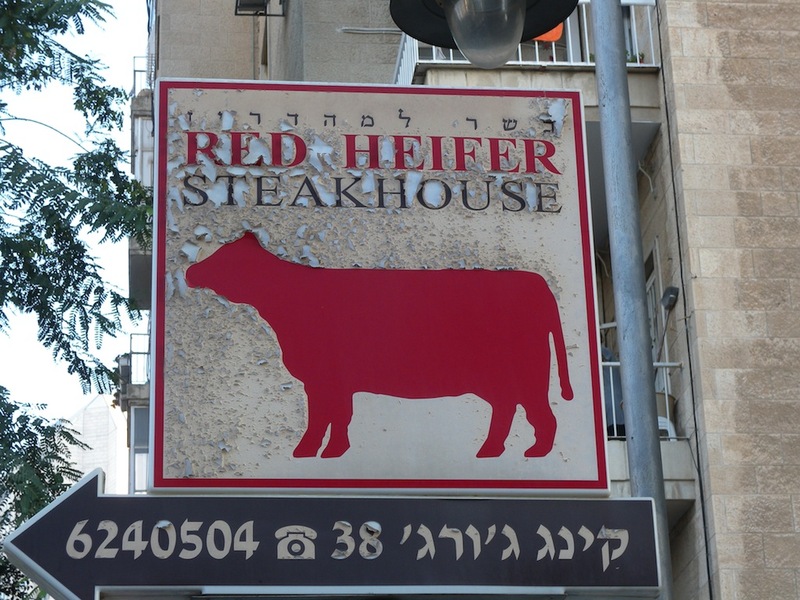 The restaurant being advertised on this sign is named after the parah ’adummah [= red cow, or more archaically, red heifer], which is ritually slaughtered and burned, and its ashes are used in purification rituals (Numbers 19:1-19). I have no clue what the connection is other than the cowness of both. 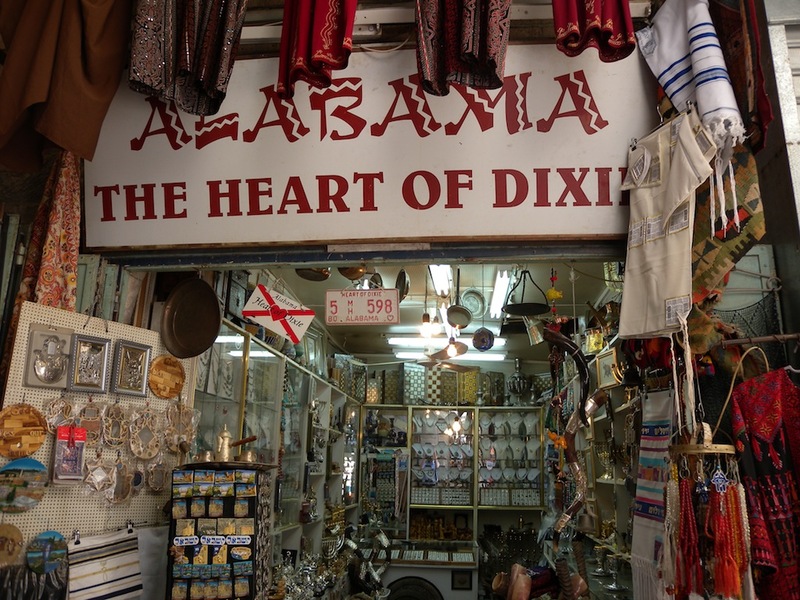 T-shirts, some of which we have encountered before, are found commonly on sale in Israel, including vaguely Jewish-themed ones, such as “DON’T WORRY. BE JEWISH” and “GUNS AND MOSES”. Gan ‘Edhen (the Garden of Eden) is a natural metaphor for people to hit on, especially when they quit reading the Hebrew Bible in Genesis right after ’Adham and Ḥawwah (Adam and Eve) are kicked out of ‘Edhen or they do not have a clue what ‘Edhen might possibly mean. This bottle of water has the brand name of “Waters of ‘Edhen”. The advertisers apparently wish to cash in on the idea of something pure, natural, and uncontaminated. This is a variant on the appeal to nature, a logical fallacy. Not to mention that bottled water for the most part is a scam to get people to shell out money for a product they can get for a lot less money out of a tap. I am murky on what “The Gan Eden of Jewish Books” is supposed to mean. 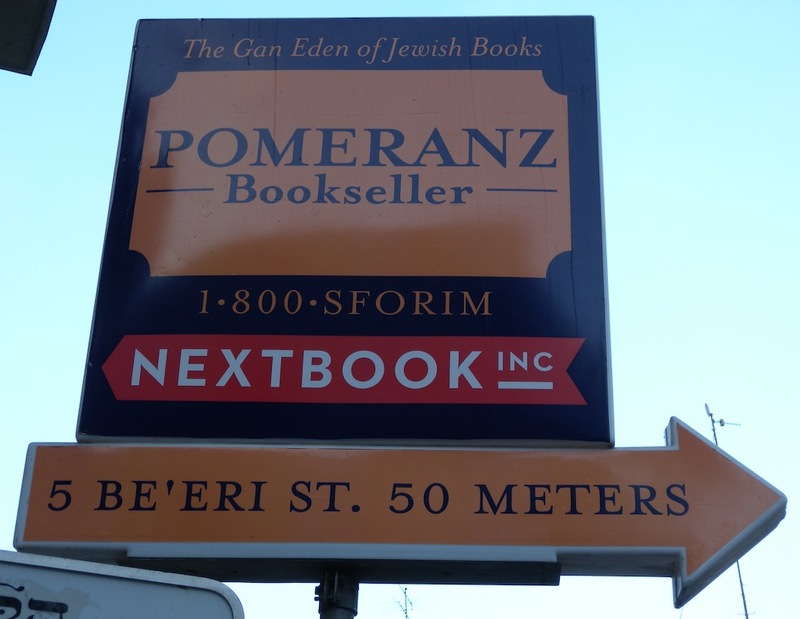 Gan ‘Edhen doubles as a Jewish equivalent of Heaven, so the intention may be that Pomeranz Bookseller is some sort of book Heaven. Which would be odd, since that ought to mean the books are free—something in contradiction to selling books. 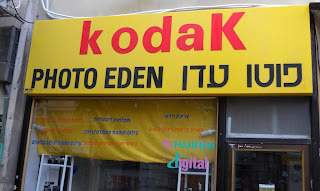 Kodak appears to be trying the same image stunt. The alternative, that they specialize in photographs of naked people, is unlikely to be tolerated in Yerushalayim. 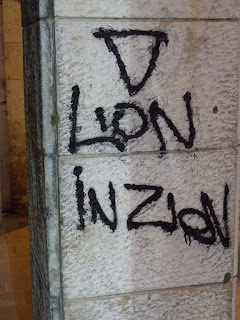 I am not sure what to make of this “Lion in Zion” graffiti. 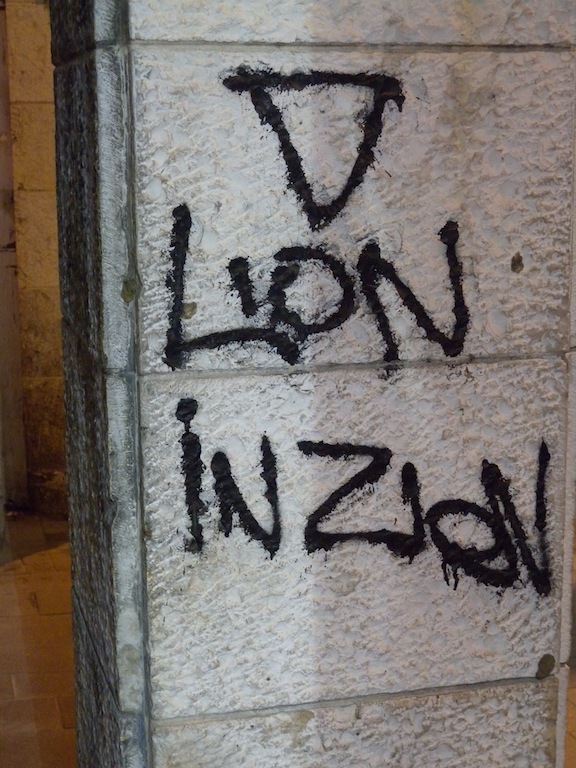 The lion is probably a reference to the lion as a symbol of Yehudhah (Judah), and Ṣiyyon (Zion) is another name for the Temple Mount. But exactly what the vandal was trying to communicate is left murky. OK, this is not really a religious fallacy or misconception. 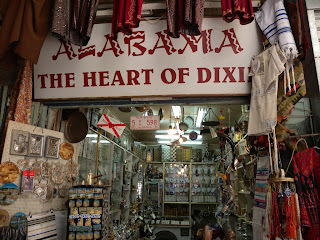 I just cannot understand why a shop in the Old City of Yerushalayim would be called “ALABAMA: THE HEART OF DIXIE”. This is the only rubber duck I have ever seen wearing a kippah and ṭallith. Peace, and may you be sealed for a good year in the book of life.